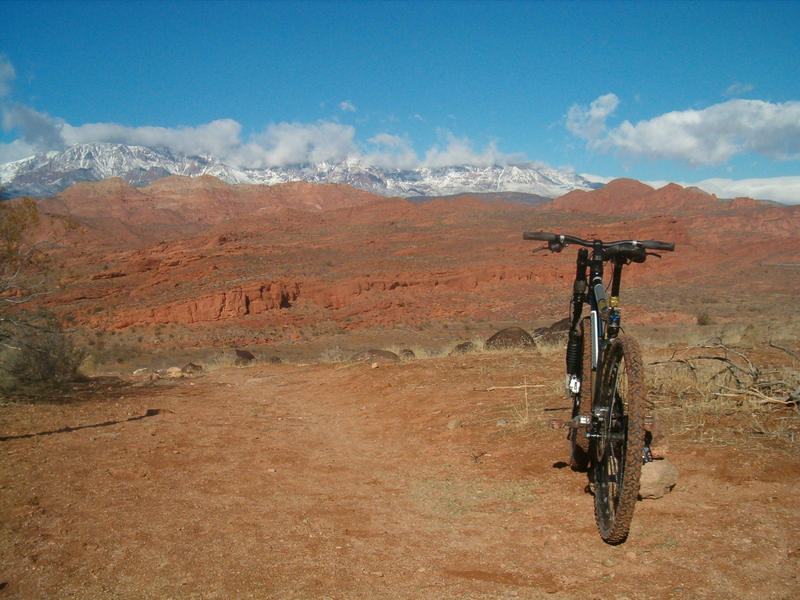 Gooseberry Mesa, and JEM/Gould’s/Hurricane Rim trails, were not rideable. Roads were impassable, and trails were peanut butter and snow. 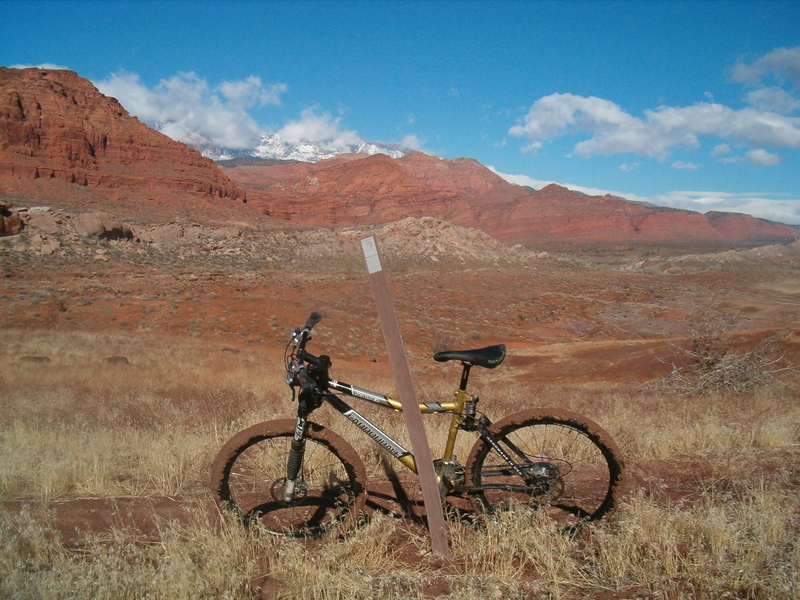 The good folks at OTE Sports in Hurricane pulled out the topo and suggested Prospector and Church Rocks trails in Red Cliffs Recreation Area, and “slickrock swamp” over by Zion where we were staying. I bought the topo, sang the praises of Brown County in IN and Michaux in PA, and exited the shop to the truck in the warm, but very windy, pre-noon sunshine. Fifteen minutes later, I was at Red Cliffs. The trailhead was right where they said it’d be, meaning I didn’t get lost. I changed in the parking lot, took the bike off the roof, and was on my way. …moist gave way to dry and fast. Prospector Trail was fluid fun all the way to the mostly slickrock lollipop loop called Church Rocks. A few minutes into Church, I encountered another rider coming in my direction who asked if I was the guy from Indiana (license plate viewed back at the bike shop). It was the way he said “Indiana” that fueled me to want to catch him later. I did. 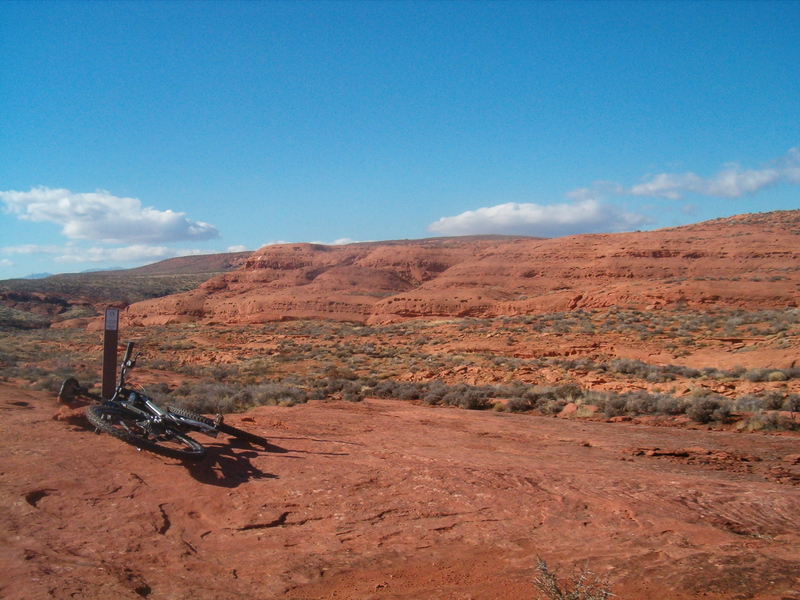 The slickrock was a good time, as was dialing in the other rider. He suggested I didn’t know where I was going, that I didn’t ride all of Church. I thought I did, but who knows. Who cares? What I did know was that I was back on Prospector and heading back the same way that I had come out, and that he moved aside for me. 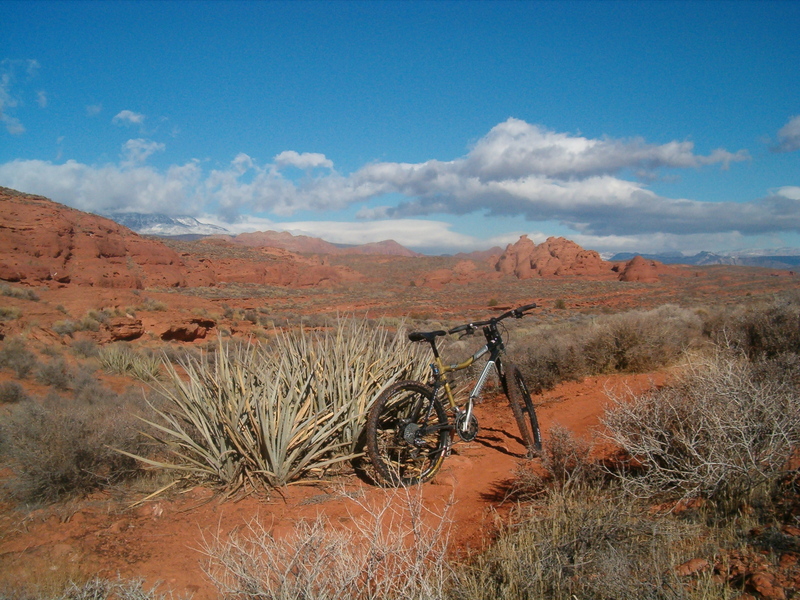 I was jazzed up and flowing, body, bike and trail becoming one. While climbing up a short rise, three riders stepped aside and gave me the right-of-way.